I saw this a few times in Peru, and it apparently never went viral in the States, which is a shame. That turn to the camera slays me every single time. If someone much better at it than me could make a GIF of 0:50 to 0:57, that person can get my undying affection. So there is an EDSBS Confessional post up, and it is chockablock with schadenfreude, chagrin, and gleeful wishes for bon vivant BMOCs in the mold of Rex Grossman, as it should be. You can easily lose an hour over there. 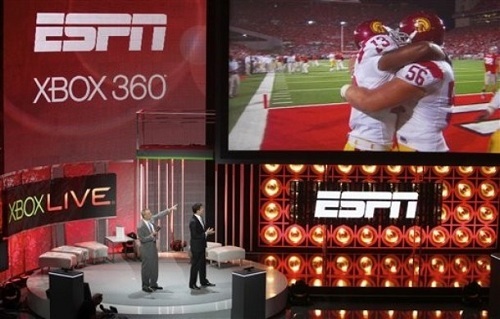 I don’t know if you know this, but this blog is basically all about World Cup ads now. This one’s awesome; South Africa really does pride itself on that “Rainbow Nation” ideal, and this pounds that home with some stirring, goosebumpy color-blocking. Less than a month now. 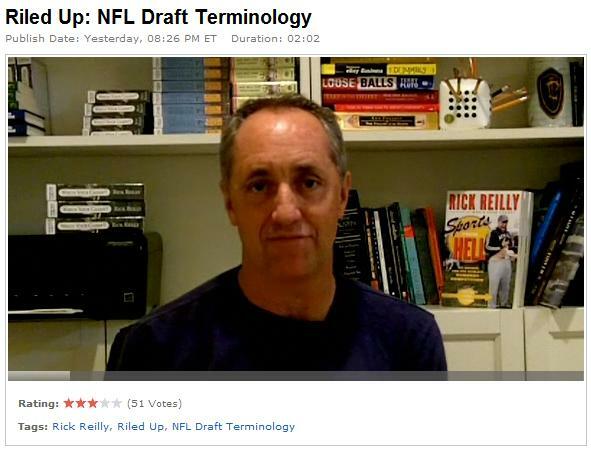 I don’t know whether to be more depressed that Rick Reilly has at least ten copies of his own book on his library bookshelves or impressed that he has eBay Business for Dummies, presumably to help him get rid of those books. Also, Rick, putting your “curvaceous blonde” wife in an ESPN video as the woman at the party you cannot get just serves to enhance your late-life rep as a charm-impaired guy getting by on name recognition. And then there’s this unembeddable video of Colin Cowherd getting his opinions literally rejected by Bruce Bowen. Basically, Colin Cowherd’s opinions on basketball are suspect. 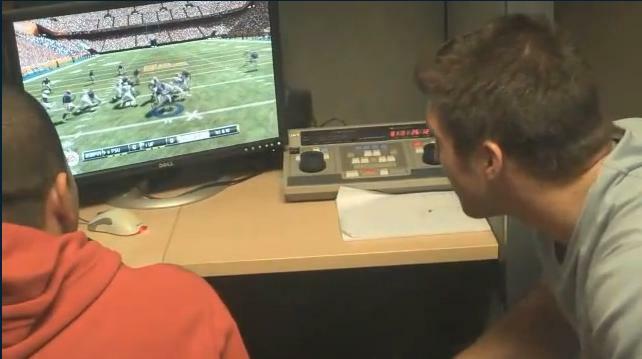 Yes, that's Tebow on the right.